The Effect: The magi removes his house key from his key chain and entrusts the spectator with the remainder of his keys. The magus then promptly causes the house key to vanish and reappear on the key ring in the spectator's hand. Sleeves up, no holding out, completely clean vanish. Watch the Demo. This was another big hit of Jeff's on Underground Jam. The particular vanish (a Richard Ross idea) used for the key is the big killer that really inspired a lot of magicians. You don't want to miss this one! Fun Side Note by Jeff: This effect was actually a dream that I had. I needed five effects to audition for Sankey's Underground Jam and the night before filming the audition tape for Jay I only had four that I felt were solid enough to audition with. That night I had a dream about a method for vanishing a key that was a bit strange. That next morning, I purchased the supplies I needed and was able to recreate the dream from the night before. The method that ultimately made it to Underground Jam is much cleaner and does not require any such craziness that was found in my dream method. 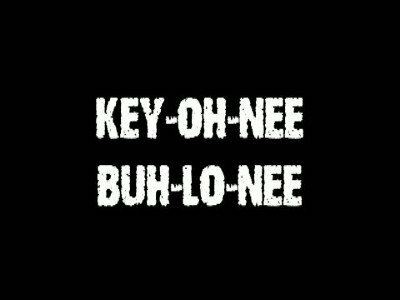 The Name "Key-Oh-Nee Buh-Lo-Nee" is a phonetic spelling of "Keone Baloney." Rob Keone is my good friend/videographer of Stone Cold Magic. He shot the Sankey audition tape, and helped me workshop the routine, so we named the effect after his childhood nick name. "I find that Jeff Stone is my favorite contributor. He has great ideas, including a novel key routine with a killer vanish. His use of the film cannister really got me thinking, and it's the thought-provoking ideas that make DVD's worthwhile to me, the sort of thinking that has you digging up props because an idea (or several) just occurred to you." - Darrin C.